Pure Kona Coffee is what coffee drinkers all over the world are after. But before you buy, its important to know how to recognize authentic Kona products in a market that offers many imitations. The coffee farms on the Kona side of Hawaii's Big Island have the advantage of being located in one of the most coffee-friendly climates in the world. What does this mean? Well, it means that the natural conditions of the Kona Coast are so well suited to growing coffee beans that the word Kona has come to be recognized as an indicator of great, flavorful coffee by coffee drinkers around the world. When buying Kona Coffee there are a few things that you need to look out for. The term Pure Kona Coffee on a package means that the coffee beans in that bag are all from Kona. This means that you're not getting some kind of inferior blend that can contain as little as 10% Kona beans. The State of Hawaii Department of Agriculture is very discriminating in the way it classifies and grades Hawaiian coffees. You should be just as discriminating when you decide what to buy. Whether you're buying online or on the Big Island, you'll want to make sure you're getting the real thing. 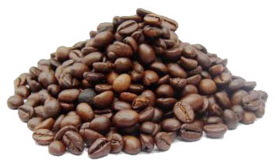 Some Kona Coffee is blended with inferior or inexpensive beans from other parts of the world. If the bag doesn't say Pure, then it isn't. Cheaper blends have to be identified as such - Look for the fine print. Its easy to spot these blends and other inferior Hawaiian coffee products if you know what to look for. The two best indicators of quality are the price and the label. Again look for the label to say 100% Pure. Also, look for a price of about $20 per pound. Then you'll know that the coffee you're buying is a quality product. There are a lot of coffees out there that will be marketed in such a way as to try to convince you that they're the real thing. Now you know what to look for when buying. Go back from "Pure Kona Coffee"